Earlier this year we got involved in a "quick fix" environmental project. This project was a great success and bought together a number of local agencies with a local primary school. Greenmoor Big Local Community Board is inviting grant applications from local voluntary and community groups, based in the Greenmoor Big Local area (or on its borders). It will consider projects that are designed to enable organisations working in the area that improve the quality of life for local people. Grants from £500 to £1,000 are available per group and funding must be spent by the end of December 2013. The deadline for applications is 12.00 noon, Wednesday 21st August 2013. Would you like to get more involved in Big Local? There are still few vacancies on the community board. Why not nominate yourself or someone else to join the board? Please apply by the closing date of 31st May 2013. Download the application form and further information. The current community board is in the process of deciding terms of reference and a framework for working in the future. We expect this be completed in Spring 2013. The Community plan will then be agreed by the Community Board and then sent to with the Big Local Trust. The Big Local trust must agree with the Community Plan before any money can be distributed locally. At the Greenmoor public meeting on 3 October 2013 it was agreed that a "quick fix" environmental project in the area was needed. 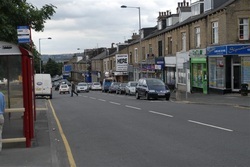 A number of agencies and local groups in the area and Bradford were invited to put forward ideas for quick fix environmental improvements. 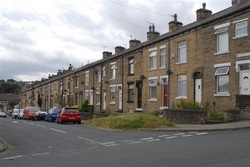 At one of the first Community Board meetings it was agreed that Bradford Community Environment Project would asked to complete this project. The group intends to carry out an environmental education project locally and produce a environmental sculpture using recycled materials. Councillor Joanne Dodds and local businessman Kantilal Mistry have teamed up and launched a Scholemoor and Lidget Green Business Forum – work is being carried out to invite business and agencies to this forum. The Big Local team is really excited by the results of research being done in our area. Seven volunteer researchers have met for training and Corine Campbell has been working on the community plan which should be ready in January 2013. So far, Corine has interviewed 150 people and received 200 other interview questionnaires back!